Semana Santa or Easter is a very important holiday in Ecuador, throughout the country there a many different celebrations that include processions, special ceremonies and other events. 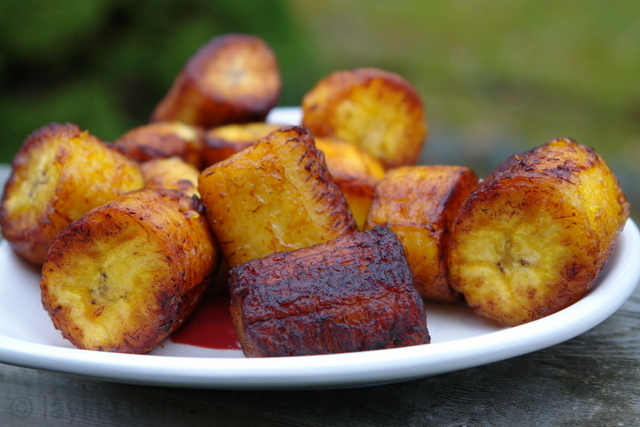 As most holidays in Ecuador –and Latin America, Lent and Easter have a strong connection to food. 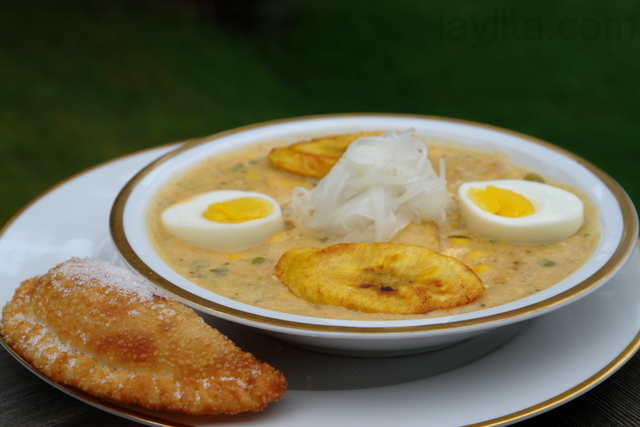 The most important dish for Easter in Ecuador is a thick soup called fanesca. Traditionally fanesca is mean to be eaten on Holy Thursday, think Last Supper, however it has become a popular dish and you can find it in many restaurants on the menu during the whole week, and some places even start serving it from the start of the Lent season (40 days before Easter). Fanesca is made with salt cod, many different types of beans and grains – both fresh and dry, squash, spices, and many other ingredients. This soup requires a lot of prep work: the fresh grains needs to shucked and cleaned, the salt cod needs to soak for 24 hours, the grains and vegetables are cooked separately. The assembly of all the ingredients is the easiest part of making the soup. There’s a rumor that fanesca should include 12 grains/vegetables to represent the 12 disciples, and that the fish represents Christ. 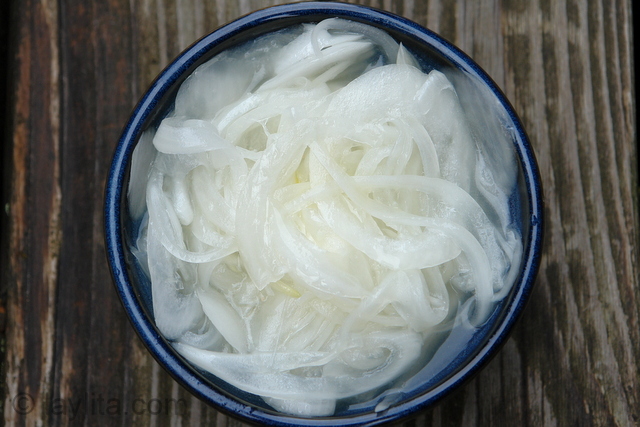 The origin of fanesca is uncertain, some claim it originated in Ecuador during the Spanish colonial times, and others claim that its origin comes from Spain or Portugal. 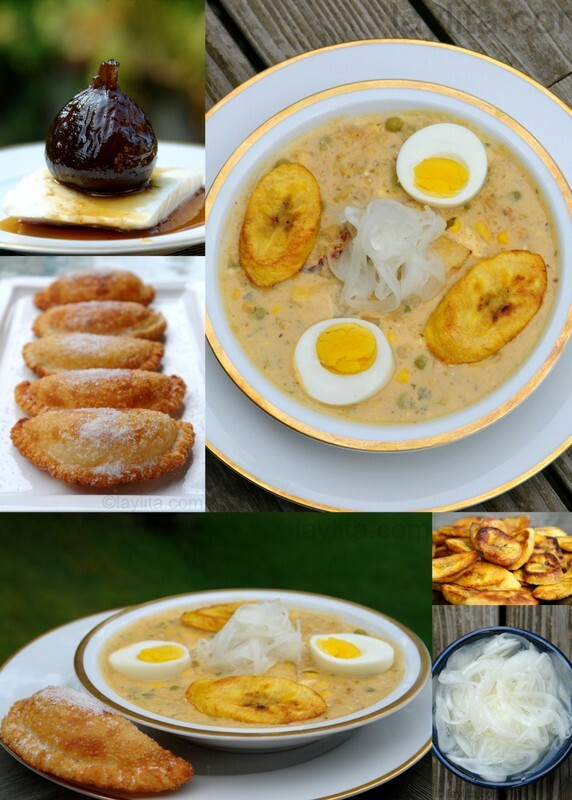 The skeptics believe it is originated due to the timing of Easter coinciding with the harvest season of many Andean grains and vegetables, since meat was restricted due to Lent it made sense that these became the main source of nutrition during Lent. My personal (and completely unverified) theory is that fanesca is likely a combination of Inca, o even pre-inca, harvest or fertility celebrations, hence all the Andean grains and vegetables; the salt cod was likely added during the colonial days , and the 12 grains = 12 disciples was the justification for allowing the fusion of a pagan custom with a Catholic one. Again, this is just my theory that tries to piece together the different stories around the origin of fanesca. 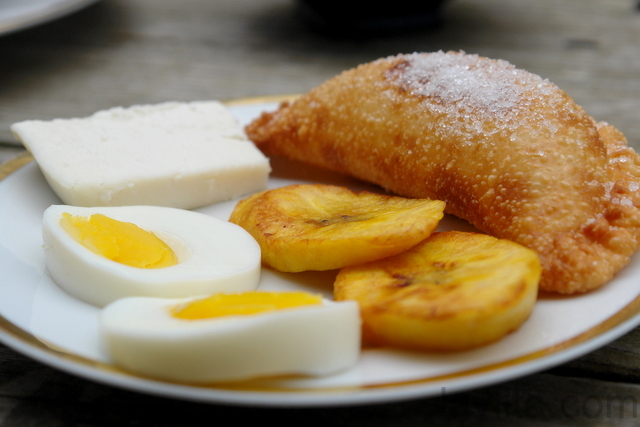 Fanesca is served with must-have sides of fried ripe plantains, queso fresco, hard-boiled egg slices, lime pickled white-onions, empanadas de viento (fried cheese empanadas), and masitas or fried little pieces of dough. 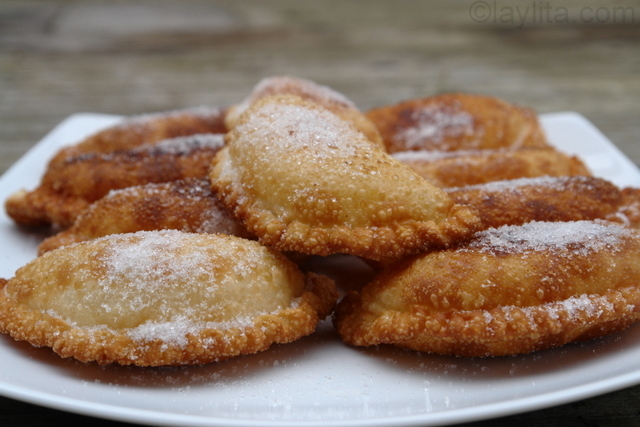 The masitas are made from the same dough used to make the fried empanadas. 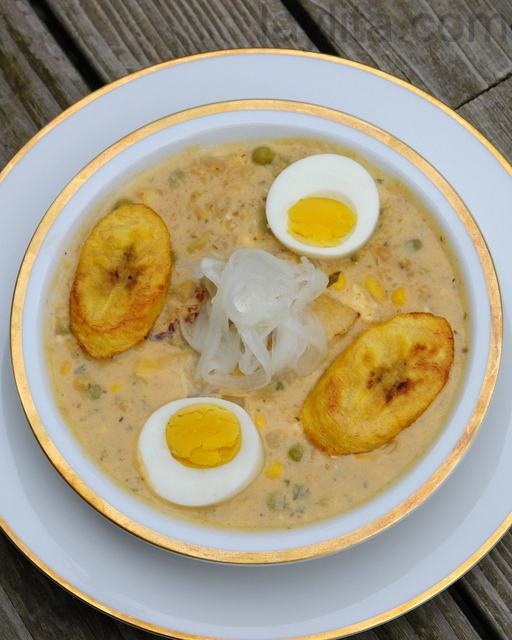 Another important dish that is served after the Fanesca – or sometimes with it – is an Ecuadorian mashed potato dish called molo. 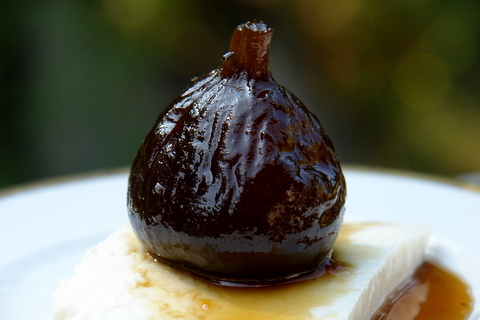 For dessert, the most popular choices are either dulce de higos or candied figs in syrup, and arroz con leche or rice pudding. 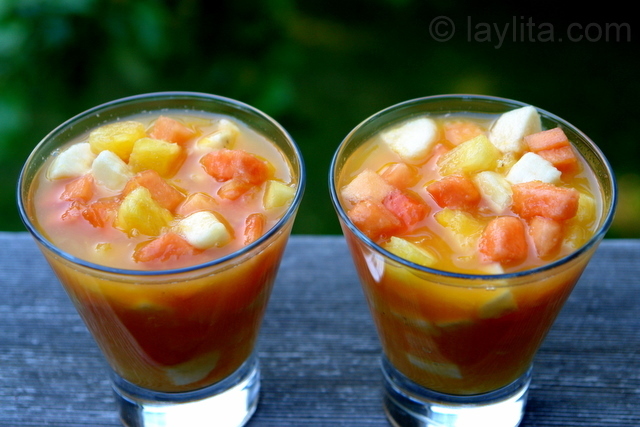 Overall, it is a very heavy meal, so for dessert I sometimes like to opt for a lighter more refreshing dessert called come y bebe, which a type of drinkable fruit salad. 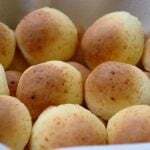 Another dish that is very popular during Easter, but not necessarily served with the fanesca meal are steamed savory corn cakes, called humitas. The delicious little parcels are made with a fresh ground corn mix, stuffed with cheese and steamed while wrapped in corn husks. Growing up in Ecuador, but with American parents – and in a community of foreigners, I feel like I had the best of both worlds. I experienced all the local customs around Easter and helped prepare fanesca (usually the kids had the job of peeling all the fresh beans and grains), but I also got a basket from the Easter bunny and participated in Easter egg hunts with some of the other foreign kids. I try to the same with my kids now, living in the US they’re clearly exposed to everything Easter bunny related, but I want to make sure that they understand the real meaning of this holiday and that they also learn about the customs that I grew up with in Ecuador. I’ve found that food is a great way to teach kids about traditions and customs, especially if you involve them in the preparation of the dishes. I agree that it’s Inca (though I think the Spanish would have associated it with similar dishes in Spain), but I will point out that the Inca people also ate fish, so the soup could have had fish before the Spanish got there. Also, the number 12 already had significance for the Inca people: they observed a 12 month lunar year. What a gorgeous post! I love all the yellows, instead of looking monotonous it actually looks quite spring-like. I very much agree, food is a great way to teach about different cultures– and about our histories, as the answer as to the origins of the traditions are almost never simple ones! Thank you for sharing your thoughts & recipies with us. Early this year I finally took my daughters to visit and explore Ecuador.. Its a very special place near and dear to my heart.. Also your so artistic with your photos! thank you for this beautiful post. it makes me heart ache (and my stomach growl! ha!) for ecuador. 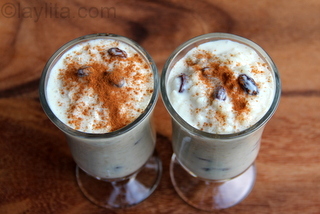 Thank you for a wonderful post, I love your recipes, I tried your fanesca recipe before, it was delicious.The theories about the origin of fanesca are very interesting too. What a lovely post and everything looks perfect. It’s always good to exchange our different traditions. Very interesting post and comments. 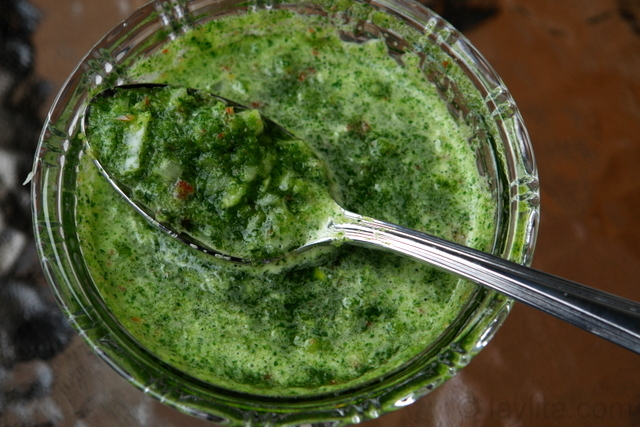 The fanesca is new to me and I would love to try it, though I don’t know that I’d love to go through all the work to prepare it! Thanks. I’m always very positively impressed at the quality and accuracy of your recipes! Me and my brothers have been using this as our main archive of traditional recipes for a while now, and we’ve always received compliments. Are you ever going to compile these into a book? 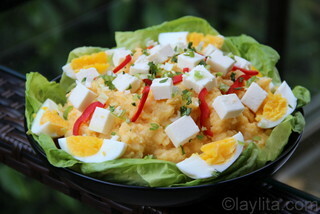 Your recipes are spot on, and I love the narratives you add explaining the dishes. Although, we grew up in the USA, our parents kept all the traditions and in particular during Easter time. 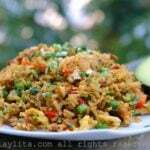 She made the fanesca and as a side dish humitas. Yours sounds and looks delicious. Thank you for your posting your recipies and the stories that we all enjoy. I was gifted a jar of “miel de Chiverre”. Later this week I will use your sweet empanada dough to make the squash empanadas that are traditional for Semana Santa in Costa Rica. Perhaps I have gained some credibility with my neighbors thanks to your empanada recipes! Love your web site. There is a traditional Gypsy dish from the South of Spain that is done mainly with pumpkin, garbanzo beans and salted cod, but they eat it during Christmas eve instead of Holy Week. It’s called Potaje de Nochebuena. Since most of South America was colonized by people from the South of Spain (from the region of Andalucía), then I can see how this dish evolved from its origins and developed into something new, incorporating the grains and vegetables found in the Andean regions (like Zapayo, a variety of pumpkin, quinoa, and the rest of the grains) and perhaps they changed the festivity in which it was traditionally eaten to coincide with some harvest festival. This is also just a theory. Probably far fetched, but the dishes do have a remarkable similarity.